The Nunnery of the Order of Benedict was founded in 1166 under the name of St. Peter's Monastery. The first monastery church was a sandstone building in the typical Romanesque style. 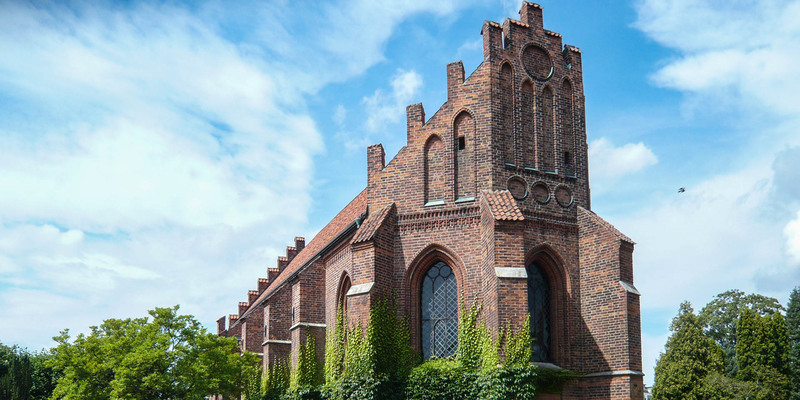 When the first church was too small, it was enlarged and converted into the Gothic-style brick church, which has survived to this day. 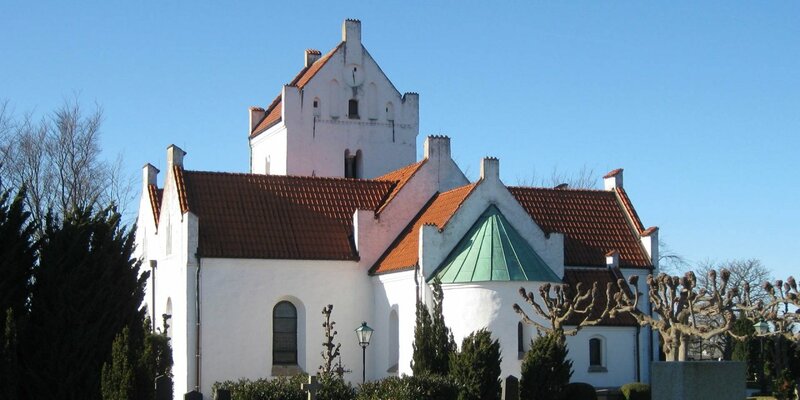 Until the Reformation there were 8 monasteries and more than 20 churches in the medieval bishopric town of Lund. 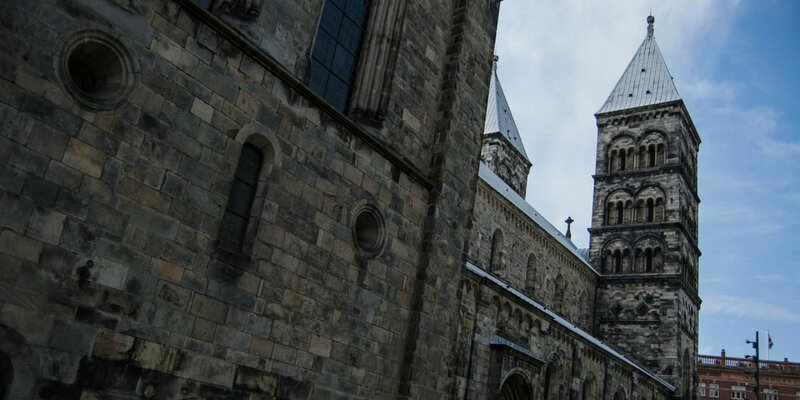 During the Reformation towards the end of the 16th century, all monasteries and churches in the city were demolished with the exception of the Klosterkyrkan and Lund Cathedral. 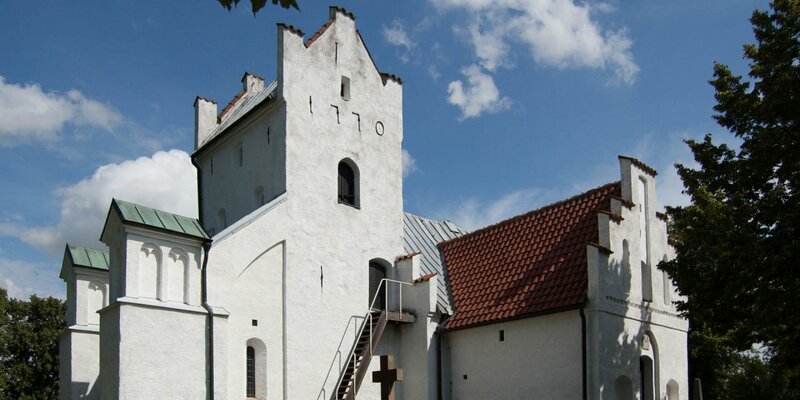 The enduring conflicts between Denmark and Sweden in the 17th century, which also affected Lund frequently, caused great damage to the monastery church. Since the church furnishings were often the object of looting, there is not a single piece of the original medieval furnishings in the monastery church. The pulpit is a work of the wood sculptor Jacob Kremberg and dates from the early 17th century. The two large chandeliers were donated in 1669 and 1670 by wealthy citizens, replacing the original chandeliers, which had been destroyed in the war in 1644. The oldest object in the church is the triptych, which was created in the 15th century in a Cologne workshop. The piece was auctioned in 1931 at an art auction and donated to the church. Another gift from the modern era is a wooden sculpture of the Apostle Peter, originally from a baroque church in Prague, and now found its place in a niche in the chancel of the monastery church.